I don’t know any poultry fancier that doesn’t have a guinea fowl story or two, but chickens are usually where it all starts, as they are the gateway poultry drug. There are so many types of chickens that it is very easy to get excited and before you know it you have 30 chickens and everyone of them is a different breed. Then you may move on to turkeys or geese or ducks. I’m speaking from personal experience here. 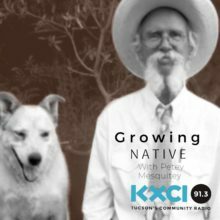 -“I’m Petey Mesquitey and I’m a poultryaholic”- And then one day maybe you are in a feed store and they have some young guinea fowl called keets. And despite everything you’ve heard for years about guinea fowl from your fellow poultry geeks you purchase some. Oh dear. There are 4 genera of guineas all found in sub-Saharan Africa. The guinea fowl that we purchase in feed stores is Numida meleagris or the helmeted guinea fowl. Have you ever heard anyone call them helmeted guinea fowl? Me either. And if the scientific name looks familiar it is because turkeys are Meleagris gallopavo one of the most convoluted scientific names ever, that translates to guinea fowl peafowl, but I digress. Guinea fowl have minds of their own if indeed they have minds at all. They roam, they lay eggs wherever and they are LOUD! So now you know, but I doubt any of this will stop you from someday going into a feed store looking for some chicks, but leaving with a box of keets. Oh dear.